Last week, I Tweeted about a satisfying lunch that sounded much fancier than the sum of its ingredients: curried carrot soup with truffle oil. As you might have guessed from the banner on this blog and if you took the time to read its About page, I am lifelong fan of carrots. But I have not always been so open-minded to its various forms: carrot cake, carrot salad and carrot soup. Carrots are one of those few vegetables that I think most children love: fresh, they’re crunchy and mildly sweet. Baked, they transform into candy. I’d never thought to make them into soup. But, a general soup obsession led me to experiment, and experiment I did. I started with a basic carrot soup from Alice Waters’ cookbook. It was good, but there was something missing. It was just…carrot soup. It didn’t look exciting, nor sound exciting. In fact, it made me think that I’d rather just eat a bagful of carrots, or roast some up and toss them with some kosher salt. A pass through my pantry led to a hidden discovery: truffle oil. Surprisingly, truffle oil is not as costly as you might imagine, given the obnoxious cost of truffles. You could buy a little bottle of it from Trader Joe’s for the about the same amount of cash you’d spend on a good balsamic vinegar. It’s actually a very fun little addition to your pantry: a drizzle of it is so pungent that it will literally last you forever. I like to mix it into mashed potatoes and dress up sauteed mushrooms with it. It’s also great for risottos…and as it turns out, carrot soups. Sometimes, the kitchen calls for experiment and you just gotta dive in and take a chance (that’s what they save about love, too, right?) Go ahead, give that girl or guy a shot. Take ’em to dinner. Who knows what you might find? Such is the feeling I got when I ate this soup on the first night I made it. And the second day? Well, it was a growing feeling. A feeling of curiosity turned to lust. You might be a little nervous and ask: curry powder AND truffle oil? That’s a bit much, no? Well, here’s the thing, you can ask and shy away. Or, you could dive right in and find out for yourself. I recommend the latter. 1. Heat the olive oil in a saucepan over medium heat. 2. Add the onion and garlic and saute for several minutes, until the onion begins to soften. Pour in the curry powder and stir to cover the onion and garlic. 3. Add the carrots and water, salt and pepper and bring to a boil. 4. Lower heat and cook for about 20 minutes, or until the carrots are soft. 5. 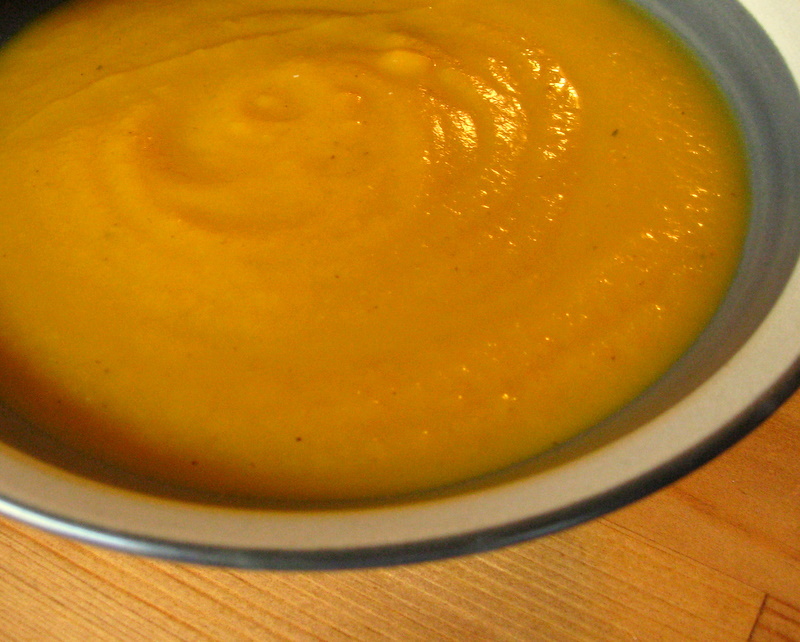 Use either an immersion blender, or transfer to a blender and whip in batches until the soup is creamy. Add salt and pepper, if necessary. 6. To serve, ladle soup into bowls and drizzle with some truffle oil. Have some bread on hand! *Like many soups, this one tastes even better the next day. The curry flavor really lifts the carrots and the truffle oil adds a luxurious aroma. Next time, I’ll try this without the curry, and a drizzle of aged balsamic vinegar. 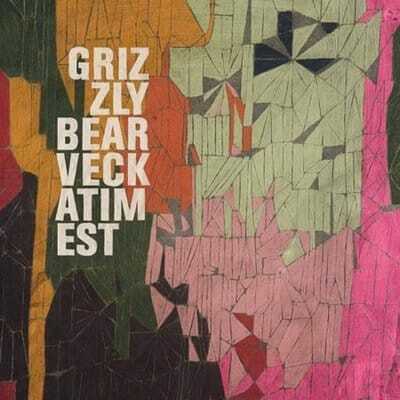 Today’s Musical Pairing is best thought of as a “preview” of what will certainly prove to be one of the best albums of the year: Veckatimest, scheduled for a May 26 release, will be the third (and hands down the best) full length by Brooklyn based band Grizzly Bear. Earthy, bright, rich, and complex, it is an appropriate pairing for Kasey’s carrot soup with truffle oil.